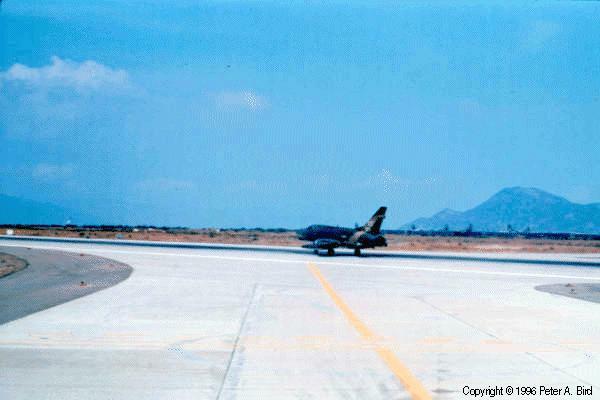 This picture of an F-100 starting its takeoff roll to the North at Phan Rang was taken from the cockpit of my C-7A (I was number one for the runway). The "Hun", as it was known, was a somewhat venerable piece of flying machinery even in 1971 when this picture was taken. As the first of the Air Force "Century Series" fighters, though, it will always occupy a prominent spot in the memories of its contemporaries. This particular example was an Air National Guard aircraft on rotation in-country.